See by Chloe crochet top. Ribbed ruffle neckline; button back. 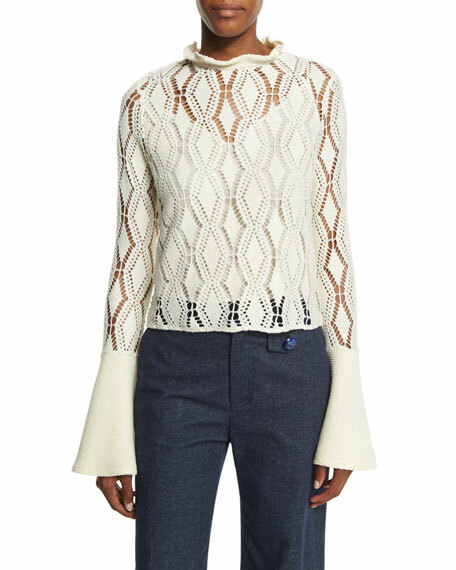 Long sleeves with ribbed, bell cuffs.